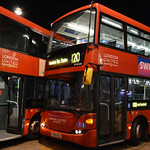 I don't travel in that part of London so wouldn't really know was just going by what routes ITV put up in that article and remember reading on here a few weeks back somewhere that 208's were always packed since they got rid of the overlap a couple years back , i do think some "outer-suburban" routes should get the NB4L as it was promoted in a lot of outer suburban areas like Romford and Bromley etc . Considering that the NBfL doesn't even meet the minimum capacity set out by TfL, is it not asking for trouble by putting them on busy routes like the 208? Though the X68 could be quite cruel ... or something obscure like the W10 to really give people a shock. 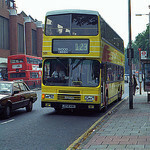 I could never see the bus on the W3 for example haha! 188 or 211 for Abellio? I think we also have the problem of defining what exactly constitutes as "overcrowding" - some people might consider all seats to be taken but standing room available to be overcrowding, while for others it could be routes with with passengers regularly standing next to the windscreen. For this issue to be solved there needs to be a statistically robust way of measuring overcrowding, e.g. at least 50% of buses between 8-10am have around 75 or more passengers per bus, and this would need to be repeated over a fairly long period of time (e.g. 1 month, the longer the better) and at different times in a day and/or week. The problem is, for it to be statistically reliable, it would cost a lot of money, as you need to pay those standing at bus stops monitoring, those reviewing the data collected, etc. Anyone got any ideas? I am hoping for My Local Route 15? Not sure if you already know, but the 148 was not long ago officially announced for conversion, due in mid-February. So far the trend of routes being converting are ones that mainly serve the old bus zone one. This puts routes like the 19, 88 and C2 as possible nominees. Stockwell's LT on route 11 interestingly include the 88 on their blindsets. I nominated the 96 *blush*. 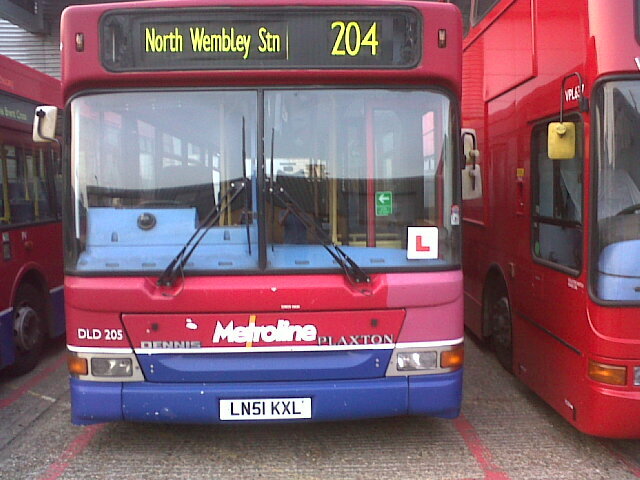 Route 15 will be getting New Bus For London from the 29th of March 2014. Buses carrying 75 people in the peak would not be overcrowded though would they? They're only 84% full (for a capacity of 87 people on a double decker). They might not be terribly pleasant to travel on but they're not full. Overcrowded suggests buses carrying more than maximum capacity which we know happens on a daily basis because there is nothing a driver can do to be certain that a bus is under, at or over the stated capacity. Buses can seem overcrowded if people decide to stand downstairs rather than take seats upstairs or if they crowd near the front of a bus rather than move down. My view is that overcrowding applies when buses turn up at stops and are unable to take on any more passengers or where they stop and only partially clear the waiting queue of people. This assumes, of course, that people have occupied all the seats on the bus and not simply crowded near the doors preventing people boarding. The other problem here is that different groups of passengers will have differing perceptions of overcrowding. Mums with buggies will consider a bus overcrowded if they can't board with their child, a pensioner may consider a bus overcrowded if they cannot get to a convenient seat etc. I'm not sure how a measure could really cope with these different perceptions and concerns. I think TfL will really struggle to come up with any sort of sensible and reliable of "bus busyness" (or overcrowding) that will really reflect what the passenger experiences. I do think an alternative approach would be to have discussions with bus drivers at their depots - they know what routes are busy, when and where on the route. It would also allow drivers to give more general feedback.